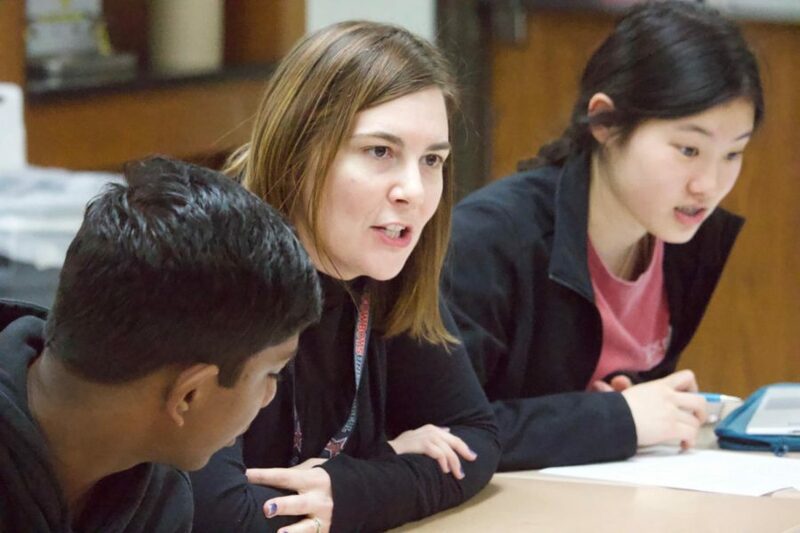 Coppell High School GT/honors chemistry teacher Sorelle Kimball talks with students after taking solubility graphs during seventh period on March 20. 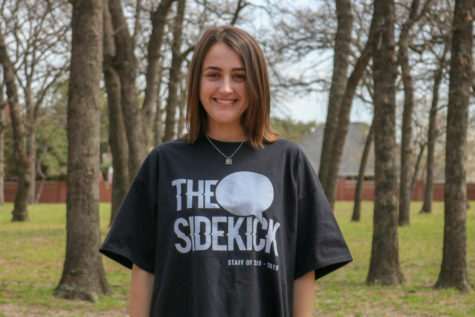 Kimball has been selected by The Sidekick as April Teacher of the Issue. Coppell High School GT/honors chemistry teacher Sorelle Kimball has been selected by The Sidekick as the April Teacher of the Issue. From studying molecules to caring for mammals, Kimball’s knowledge of life goes beyond the classroom. What inspired you to teach at CHS? I heard really good things about the school. 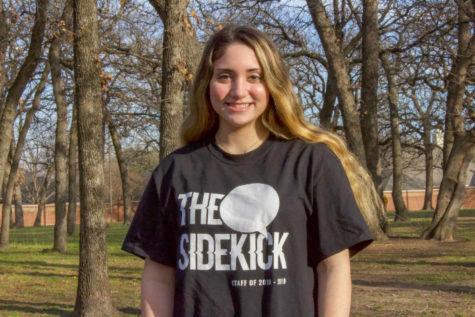 I looked into it a bit more, and I liked that it was more of a small community, which made me feel like I could be more involved and have a larger presence [with] my peers rather than in a smaller area. When I first started working here [in 2015], I was living in Lewisville, and we live in Carrollton now. We wanted to be close by, but our kids are going to school there [in Carrolton] because my husband’s mother-in-law works in the district. We have family there so the kids can walk to school and their grandparents’ house. What is a cool fact about you? I used to be a zookeeper at the Dallas World Aquarium, and prior to that, I worked at a sanctuary for large cats. I worked with really big cats like lions, tigers and jaguars. I also worked with South American birds and mammals such as anteaters, toucans and monkeys. I like it when I see someone who’s really struggling and am able to find a way to help them understand the material and realize ‘hey, you really can do this thing’ in the end. I have two dogs at home as well as two cats. My dogs are named Loki and Kiki. My two cats are named Charlie and Huckleberry. Loki is a corgi and Kiki is a corgi mix, and then my two cats are just black cats. Why is it important to learn chemistry? It’s important [for students] to be educated about what’s going on in the world as well as how things work at a certain molecular level so that they can think while making decisions. I want them to think, ‘how is this going to interact with other things that are happening in my body?’ as well as being aware of how knowledge at the atomic level actually affects their life decisions.